Dynasty Typewriter invited you to spend an evening with performance/video artist Dynasty Handbag for a presentation of "Shell Of A Woman". Shell of a Woman is "crackpot genius" Dynasty Handbag's expert powerpoint lecture on the "10 Greatest Works Of Art" according to the internet. Professor Bags will "explain" (make up lies) about the work's origins which naturally devolve into semi-autobiographical/insane narratives peppered with songs, dance numbers and psychedelic inner monologuing. For example, did you know that Picasso's Guernica is about PETA activists setting free cows from a factory farm on the I5 and the subsequent rebellion of said cows against their liberators and Jackson Pollock's famous sloppy wiggle paintings are representations of wild 90's pasta dishes that were served in a revolving restaurant in Time's Square - plus more true facts plus a tap dancing numbers to Black Sabbath's "The Wizard" plus a remake of the pirate classic "Yo Ho Ho It's The Artist Life For Me". Jibz Cameron is a performance/video artist and actor living in Los Angeles. 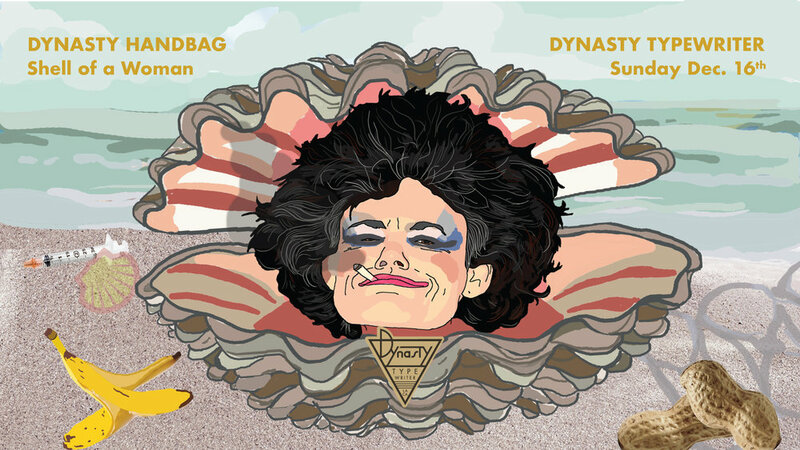 Her multi-media performance work as alter ego Dynasty Handbag has spanned 15 years and been presented at such institutions as MOCA, PS1, Joe's Pub, The Kitchen, REDCAT, The Broad Museum, The Hammer Museum, The New Museum of Contemporary Art New York, among others. She has been heralded by the New York Times as “the funniest and most pitch perfect performance seen in years” and “outrageously smart, grotesque and innovative” by The New Yorker. She has written and produced 7 evening length performance pieces and countless short works that have been performed in clubs and venues internationally. She also has produced multiple video works and 2 albums of original music. In addition to her work as Dynasty Handbag she has also been seen acting in films, theater and television (internet web series no one has seen). She works as a professor of performance and comedy related subjects as well as lecturing and teaching workshops. Jibz also produces and hosts Weirdo Night!, a monthly comedy and performance event in Los Angeles.